Flight (02) is the second of three events partially sponsored by the Right of Return Fellowship which invests in formerly incarcerated artists to create original works to further criminal justice reform in partnership with advocates and organizers. Sheri Crider is one of the inaugural recipients of this fellowship. Proceeds benefit local organizations that support community members impacted by these issues including the NM Dream Team, New Mexico Immigrant Law Center & the Santa Fe Dreamers Project. Sheri Crider is a visual artist, a community builder, a civil rights dreamer, living and working in Albuquerque, New Mexico. The seemingly innate ability to draw and create was the key to recovering from many years of drug addicted, homelessness and incarceration. 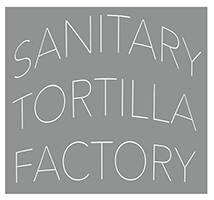 sheri has a BFA from the University of Arizona, a MFA from the University of New Mexico and is the creative force behind the Sanitary Tortilla Factory.